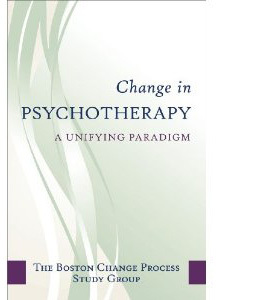 Interventions That Effect Change in Pyschotherapy. This was a special issue of the journal, Infant Mental Health,devoted to the groups symposium at the World Association of Infant Mental Health meeting in Tampere, Finland in July 1996. The work was the product of the entire group but the presentations were divided in such a way that the lead author of each of the included papers was the presenter, with the others listed also as authors reflecting their joint contribution (1998). Please not that Alexandra M. Harrison & Edward Z. Tronick are no longer members of the group. Moving Along to Things Left Undone - Alexander Morgan.